Star Wars fans have been a mixture of excited and perplexed over Episode VII’s announcement. It would be great for us if George Lucas was tapping into his galaxy once again to bring us the latest chapter. Alas, that’s not the case. Lucas sold rights over to Disney and retired to go back to making films in his garage. At least that’s what I remember from an article. At any rate, he’s not running the show this time around. Star Wars isn’t like, say, the James Bond movies, you can’t just change out the lead and let each director have a different version of 007’s world. Star Wars fans want conformity. We’ve grown to love this galaxy and demand that anyone else that touches it, love it as much as we do. Fans everywhere roll their eyes and let out a huff of disgust whenever those that aren’t enlightened in such things get ‘Star Wars‘ and ‘Star Trek‘ mixed up. This is kind of Geek 101 stuff. So how does Disney treat their brand new purchase with their dedicated fan-base? They give us the director that has re-booted ‘Star Trek‘, JJ Abrams. Seriously?! This is the guarantee for the (little) faith we put in Disney to do it right. The frakking studio doesn’t know the difference in the two franchises and treats them as completely interchangeable?! Did George Lucas direct ‘Star Trek‘, also? NO! He perfected what he worked on and didn’t spread himself thin to make a buck! 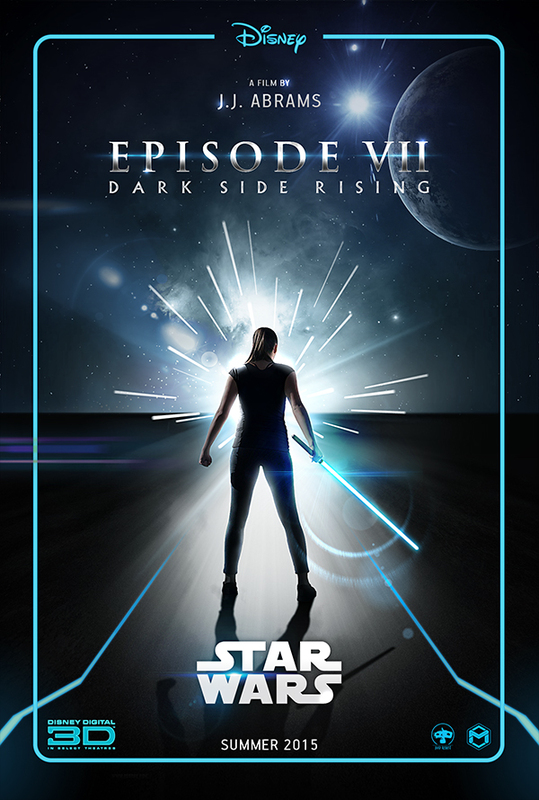 Some hope has been had with talks of several original cast members re-claiming their roles in Episode VII. 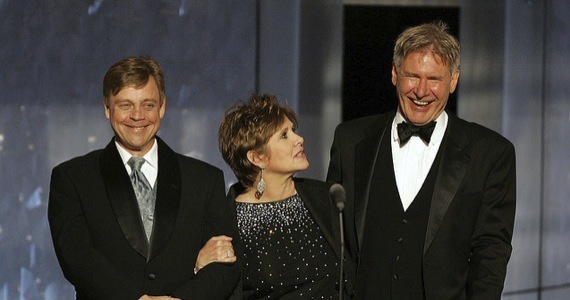 Word that Harrison Ford, Carrie Fisher and Mark Hamill are open to being in the new film, has brightened that little ray of hope thinking this won’t be so bad. Maybe. 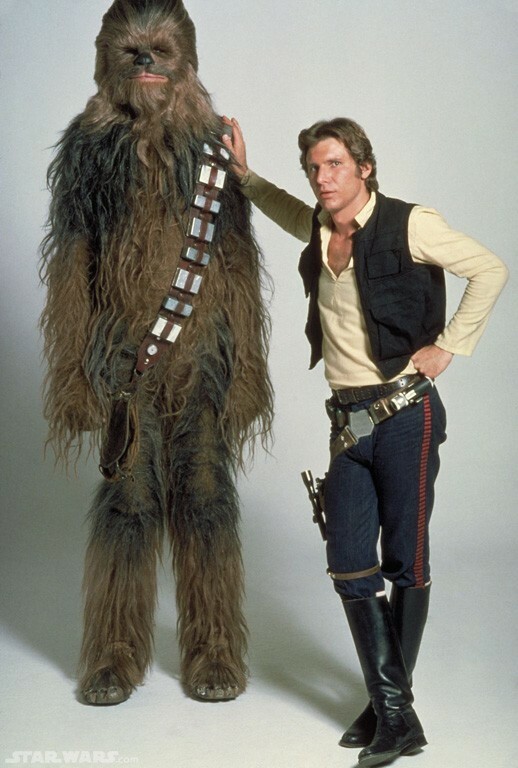 The first concrete piece of casting news seems to be that Peter Mayhew will be reprising his role as the big, walking carpet himself – Chewbacca. This isn’t necessarily something that the studio has announced, more like Mayhew canceled an appearance at the Texas convention, Comicpalooza, due to filming. Seeing how most of his career has been spent playing the Wookie, we’re hoping this is the film he’s working on. Disney Studios chairman Alan Horn said on April 2 that filming had already begun and most of the cast was set. “We have a lot of them [in place],” he said about the main actors, whose names have not been disclosed. “We’re just not completely done yet.” We reported that Adam Driver will be playing an undisclosed villain. In March, Walt Disney CEO Bob Iger said the new project will begin filming in May and will be set 30 years after the events in 1983’s Return of the Jedi. “There will be some very familiar faces along with a trio of new young leads,” he said during Disney’s annual shareholder’s meeting in Portland, Ore.
‘Star Wars: Episode VII‘ is slated to hit theaters December 18, 2015. I mean who’s worried? Abrams directed 2 whole episodes of ‘Felicity‘, he’s had more than enough experience to direct both ‘Star Trek‘ and ‘Star Wars‘! Yes, that was heavy sarcasm. Very heavy, the line was dripping with sarcasm. We’ve got not only Abrams to contend with, but Harrison Ford, who for years blasted his ‘Star Wars‘ roots and seemed to resent the very fans that made him famous. Now Ford is thrilled to be back as Solo? Of course he is, his career has not been as active as it once was and maybe, just maybe, he’s hoping fans will overlook his attitude over the years and boost him up once again. If I have a vote, I say we banish him into exile. This entry was posted on Tuesday, April 8th, 2014 at 8:53 am	and is filed under Film, News. You can follow any responses to this entry through the RSS 2.0 feed. You can skip to the end and leave a response. Pinging is currently not allowed. « DIFF 2014 Film Review: ‘The One I Love’! !